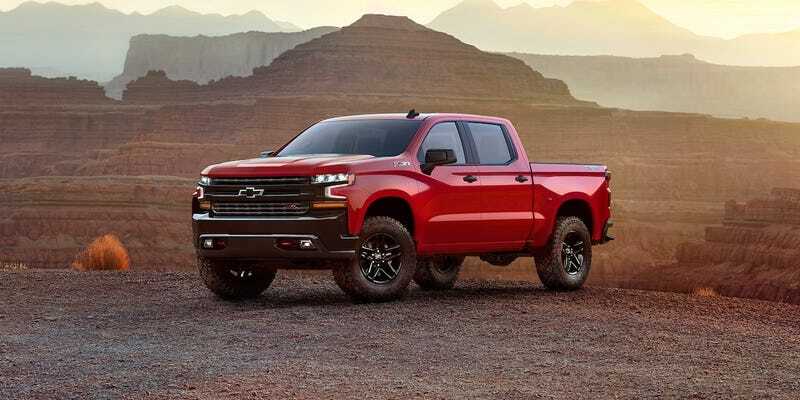 2019 Silverado - I think this is the generation that knocks Chevy down to 3rd place. Got a chance to drive the new Silverado yesterday and I have a few thoughts. First off, while it’s still an ugly truck, it actually does look better in person, and the look starts to grow on you, but again, still ugly. Driving impressions were uninspiring, it drives like every other Silverado since 2013. It’s smooth, the 5.3 makes good power, it drives like a truck. At least they actually bothered to center the steering wheel though, good job GM, only took 5 years. Where I think this truck falls severely short however is in the interior. Granted I drove a lower-mid trim level truck, there’s just a lot of things in the interior that I didn’t like. We’ll start with the dash. First, it’s hardly distinguishable from the previous generation. Beyond that I just think it looks terrible and in-cohesive, there’s angles, there’s straight lines, there’s curves, and shapes of every sort. The center stack is a vast desert of plastic, with scattered oases of buttons, none of which are similar, and none of which are very intuitive, although they would still probably become second nature eventually. Then there’s the push to start button, which is mounted very low, on an awkwardly angled panel, right where my knee wants to be. It’s a little nitpick, but they all add up. The overall interior design in general seems to be all about them gains bro! Everything is big and defined, and bulging, or it looks like it’s giving birth to something (see door handle area, center stack, speaker grilles, air vents). Another admittedly very minor nitpick, is the power seat buttons, see how the front of the forward-rearward movement button is rounded? This makes it much more difficult than it needs to be to actuate the button and move the seat. It’s still doable, but the first couple times I tried to adjust the seat my finger slipped off, a square edge is just fine in a use like this. On to the dash! The dash was pretty uneventful, it’s a very basic gauge cluster, which some people like so I won’t knock it there, but with my seating position the gauges felt like they were at weird angles, almost vertical, and angled too far in. Again,minor things, but it made the 20-60mph range a little difficult to read. Another complaint is the speedometer which only has increments of 20 mph, with small marks every 10. With your speed being displayed in the center screen this isn’t a big deal, but it does get tougher to maintain speeds of -5 mph when you have a different center screen display. (I’m also picky and like clear and distinct marks every 5mph minimum, my ‘99 F-150 actually has clear marks every 1mph and it’s the best speedometer ever). In another super tiny complaint the windshield wiper knob is a thin, smooth and dainty knob on the stalk which is more difficult to turn than it needs to be. Bringing the knob all the way out to the end of the stalk, instead of just a small strip, and adding some knurling to it (like Ford has done for years) would make activating the wipers so much easier. My biggest complaint however is on the steering wheel. See the up and down arrows, and the cruise set/resume? Those are not buttons. The left/right cruise on/off ones are, but not those. It took me forever to figure out how to work the screens/cruise. Worse yet, the cruise button on the left is a toggle, while the one on the right is a scroll, that you press in for selections. IMO this is not intuitive at all, and just poor design, especially when, again, the other trucks on the market, and even GM’s older trucks have very intuitive designs. Overall this is still a solid truck, with a few minor annoyances, but with all of these minor annoyances and the polarizing looks I think the new Silverados (and Sierras) fall way short design wise compared to the competition (especially interior design especially to Ram). With this generation truck I think we’ll see a lot of Chevy buyers, with the exception to the truest of brand loyalists and bros, migrate their way over to Ram and Ford, and possibly even Nissan. Couple that with the traction Ram has gained with their last generation truck, and I think this might just be the generation that knocks Chevy (and maybe GM as a whole? (probably not)), into third place. Time will tell. I might be getting ahead of myself. Let&apos;s play a game, where is the road?